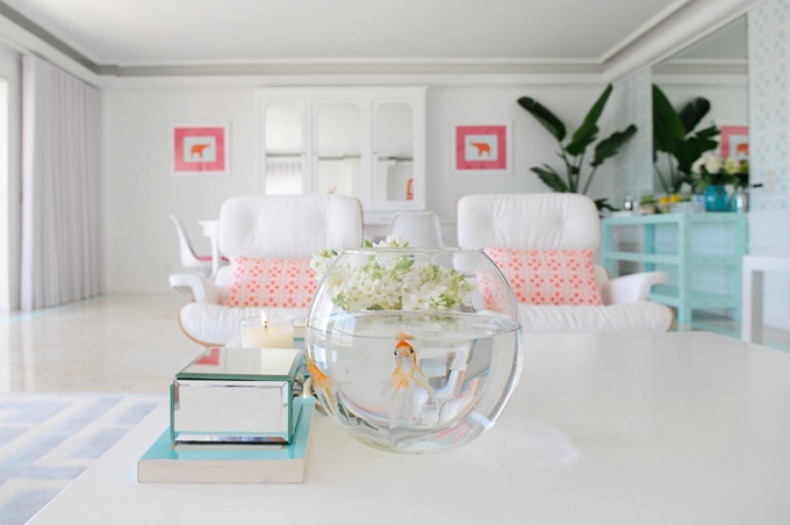 This coastal house reminds us of pink grapefruit sprinkled lightly with sugar, it is clean, crisp, sweet and fresh. 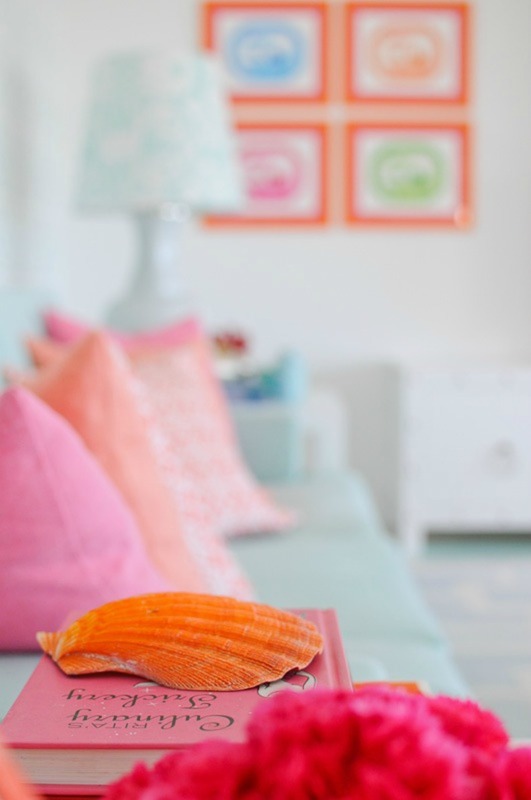 These rooms definitely have a feel and design like no other beach house. Designed by Maria Barros Interior Design of Portugal. Maria gives this house a voice and it is signing out loud. You can't help but feel happiness from her design, which has been compared to Jonathan Adler, a similar talent for making people smile through design. 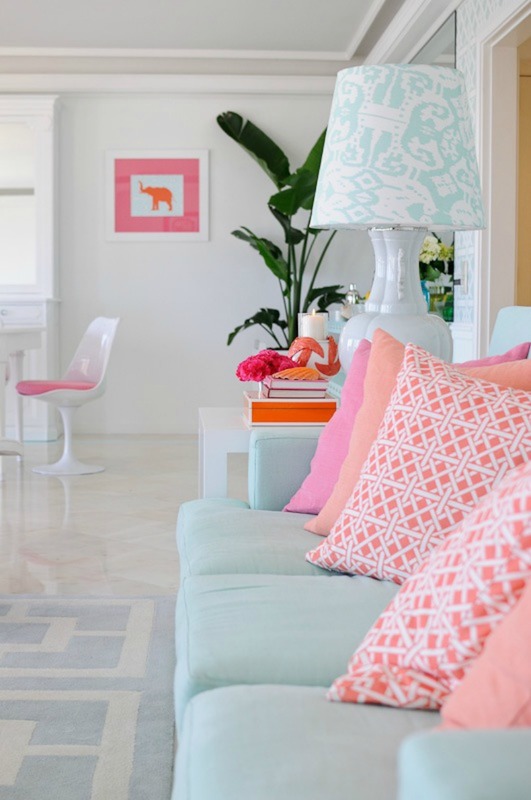 Such a fantastic color combination of white, pale blue, corals and pinks. 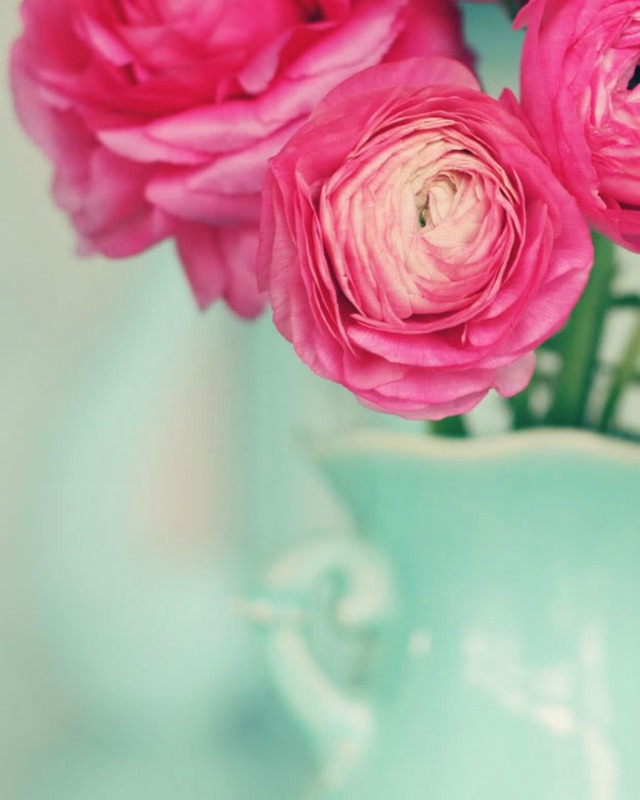 It is lovely. 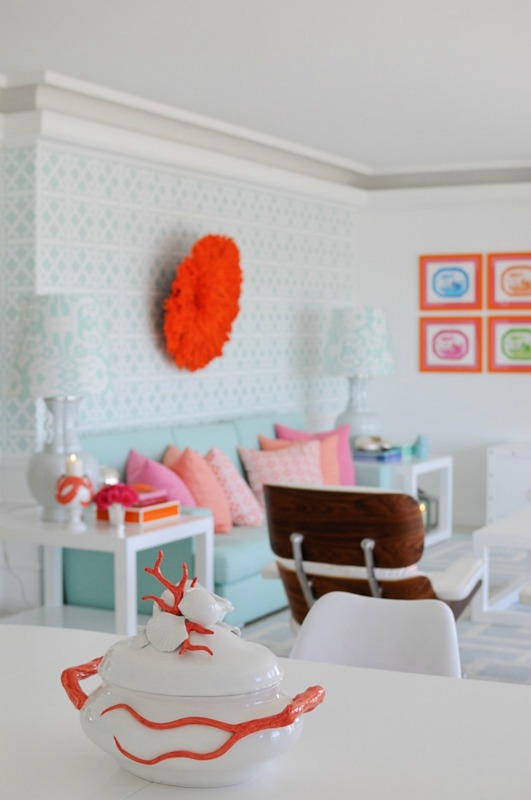 Just the right amount of bold color added to a clean white room makes for a beautiful conversation piece. We just love how the colors pop. The mixture of classic, vintage and modern elements with touches of Palm Beach society are genius. 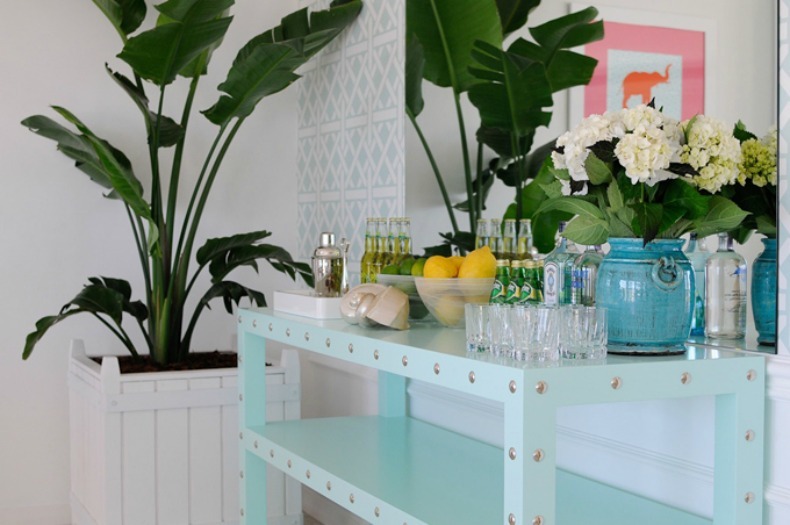 Even the bar cart is sophisticated and chic with the pale blue paint and silver nail heads. The pairing of mid century modern chairs with classic painted white wood table blend beautifully.